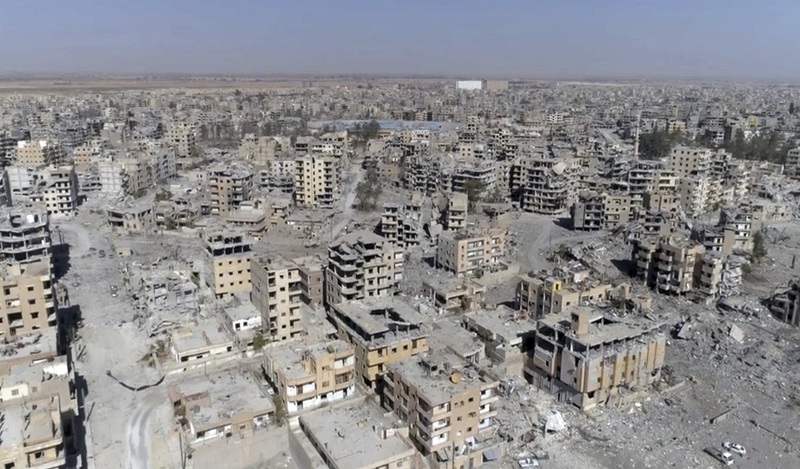 This Thursday, Oct. 19, 2017 frame grab made from drone video shows damaged buildings in Raqqa, Syria, two days after Syrian Democratic Forces said that military operations to oust the Islamic State group have ended and that their fighters have taken full control of the city. 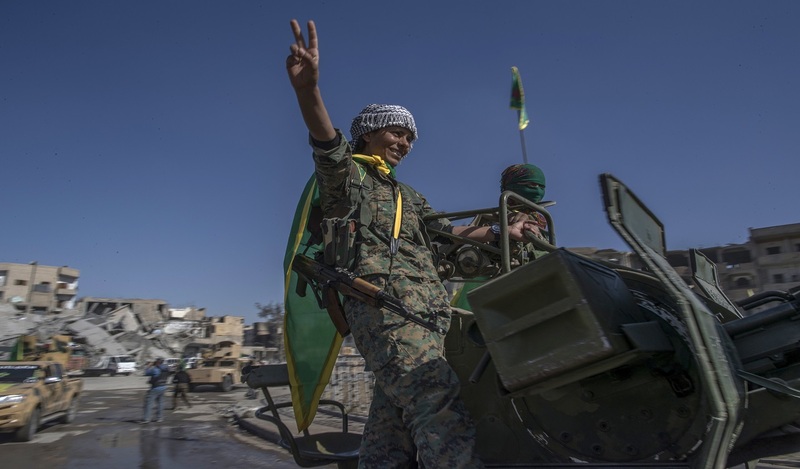 President Donald Trump says the end of the Islamic State "is in sight" after the militant group was driven out of Raqqa, its self-declared capital in Syria. Trump says in a statement that the recapture of Raqqa by the Syrian Democratic Forces is "a critical breakthrough in our worldwide campaign to defeat ISIS." He says it'll soon be time to transition to a new phase in which the U.S. will continue to support local security forces and "advance the conditions for a lasting peace." Trump says the U.S. will back diplomatic negotiations that end the violence in Syria, allow refugees to return safely home and "yield a political transition that honors the will of the Syrian people." There are no signs, however, that political transition will occur any time soon.